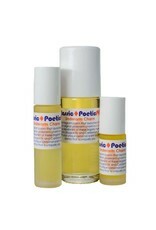 From Living Libations Classic Poetic Pits came forth all their other Poetic Pits formulations, all fragrant flavor-riffs on this, the true original! Defying commercial deodorants everywhere, Poetic Pits is a 100% natural, organic deodorant made with elixir essential oils including sandalwood, douglas fir, and cardamom. Refreshing and warm with green hints of spice, and everything nice. Poetic Pits works with your unique personal scent to unleash an aroma of underarm charm that is uniquely you. Now with Aventurine Quartz, instead of plastic, for the bottle’s rollerball! Besides this gemstone being the cherry on top of already stellar Libation, aventurine is characterized as a stone of prosperity that aligns to the heart chakra. Original underarm charm is a dazzling, disarming deodorant filled with the majesty of trees ready to breeze its aroma upon your skin. Use: Swipe once to charm each underarm. 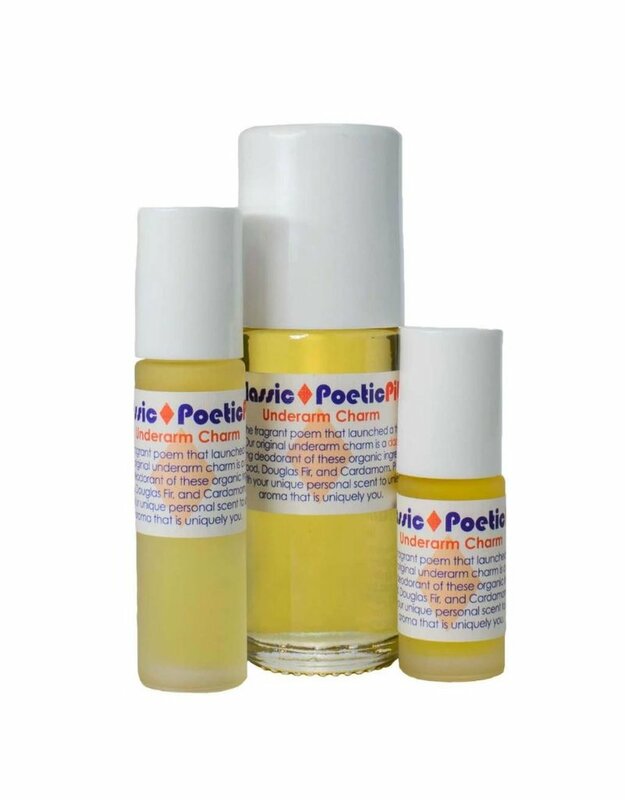 Please Note: Poetic Pits are 100% concentrated essential oils, so it is best to dodge damaged, inflamed, and allergic skin. The ingredients are selected from essential oils that are recognized as safe for the skin. As everyone has skin that responds uniquely, we advise users to patch test inside the elbow before using. Keep out of reach of children. For use on extra-sensitive skin, dilute with jojoba oil. Organic Ingredients: Santalum album (Sandalwood), Pseudotsuga menziesi (Douglas Fir), and Elettaria cardamomum(Cardamom).